Microsoft runs a little-known scheme called Home Use Program for business volume licensing customers that have an active Software Assurance coverage on their Office applications. Users can choose to buy either Microsoft Office Professional Plus 2016 or Microsoft Office Home and Business 2016 for Mac for a one-off fee of only £9.95 (or $9.95 in the US and AU$16.50 in Australia) ; that's a saving of 98% and 96% respectively. You only need your work email and your organization's program. Some require employees to use a program code to validate their HUP eligibility (that's usually handled by a third party). You must get this code from your organization; if you do not know this code, please contact your organization's benefits administrator for assistance. Employees that are part of that scheme at work can purchase these Office applications for use on their own personal device during the term of their employment. The license expires when the employer ends their Software Assurance contract or upon termination of employment. Oddly, Microsoft opted not to provide with Office 365, which could have been useful to promote OneDrive and Office on mobile devices. The bottom line is that millions of employees in the UK are eligible via their organisations but don't take full advantage of this offer. Note that you will get a digital copy of the office suite and you will need Windows 7 or higher to run it. 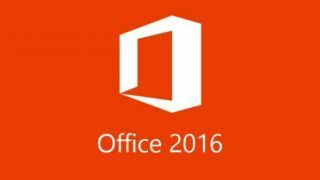 Office Professional Plus 2016 includes Word, Excel, PowerPoint, Outlook, OneNote, Access, Publisher, Skype for Business. Note that the Mac version doesn't include Access, Microsoft's database management system.